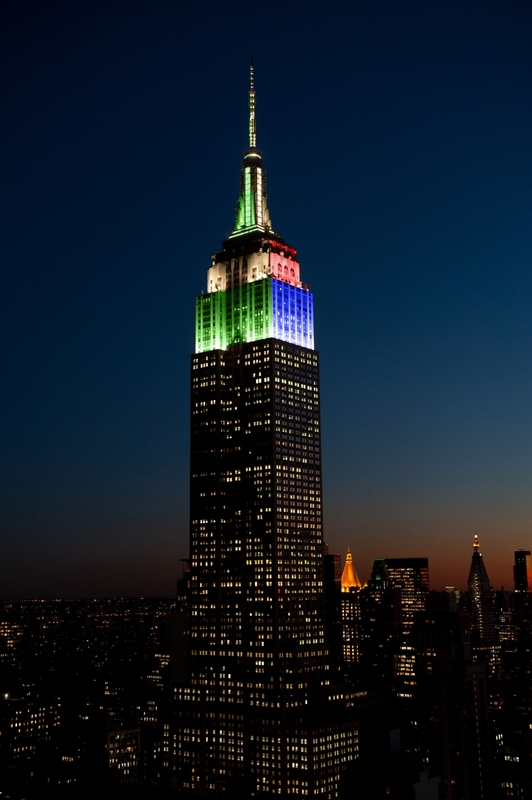 The Empire State Building is bizarrely lit in New England Patriots / Philadelphia Eagles colors today. The skyline light show certainly has some flair to it, but it seems mind-boggling that such an iconic New York symbol would be giving props to two teams that are rivals to the the Empire State's three representatives -- the Giants, Jets and Bills. 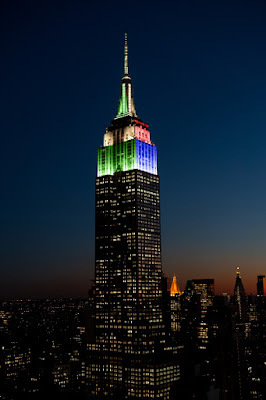 Whatever the reasoning, the Empire State Building's light czars should think twice before dedicating the Art Deco masterpiece to Patriots blue and red or Eagles green and white on Feb. 4. So the ESB wasn't paid by the NFL for last night and this morning's stupidity? Someone should be fired. The Empire State Building will be lit in its signature white on Super Bowl LII Sunday and here's Triple H and Stephanie Mcmahon prepare to light the Empire State Building up red for Raw 25.